This outfit was inspired by the beautiful hijab I received from Resham Collections. 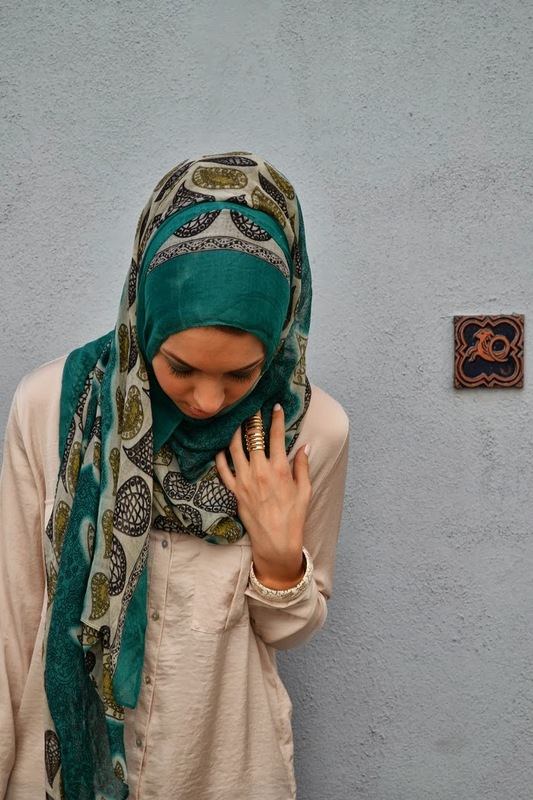 I immediately fell in love with the detail of the hijab with the mix of prints and colors. The hijab is soft and the fabric is very easy to work with. 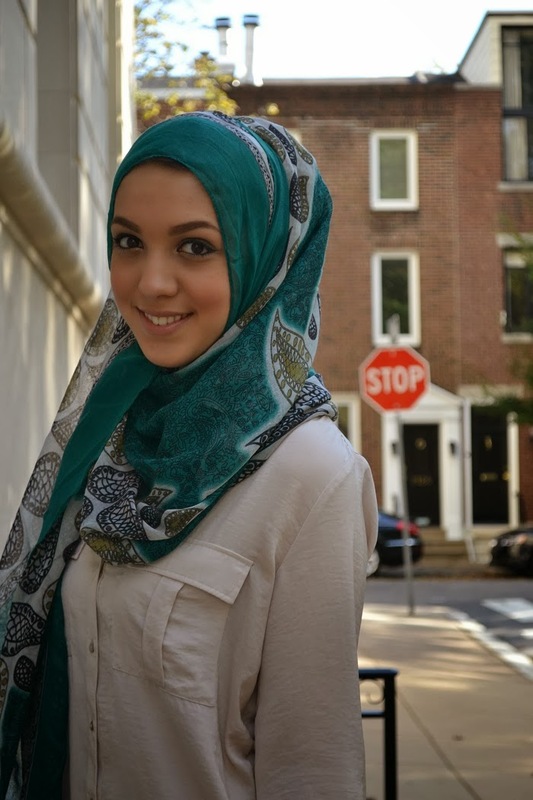 One thin I also really loved which is hard to find these days is the hijab itself is very large. I like this because it allows you to style it so many different ways. 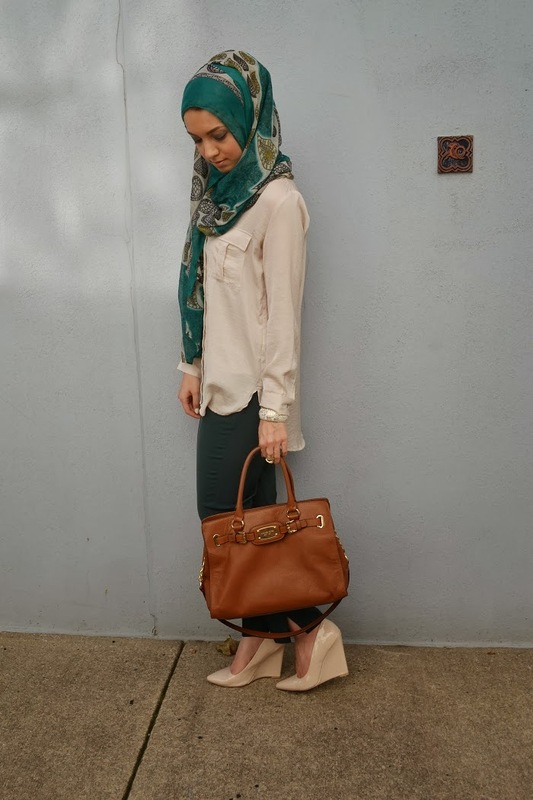 Here I wore it with one side extra long and you'll see another way I styled their hijab on my post tomorrow. I highly recommend their hijabs because they're comfortable and come in a variety of unique styles that you can't find just anywhere. Make sure to head over to their site now and use the code "HaniHulu" for an extra 10% off your purchase! I love your top! Where is it from?